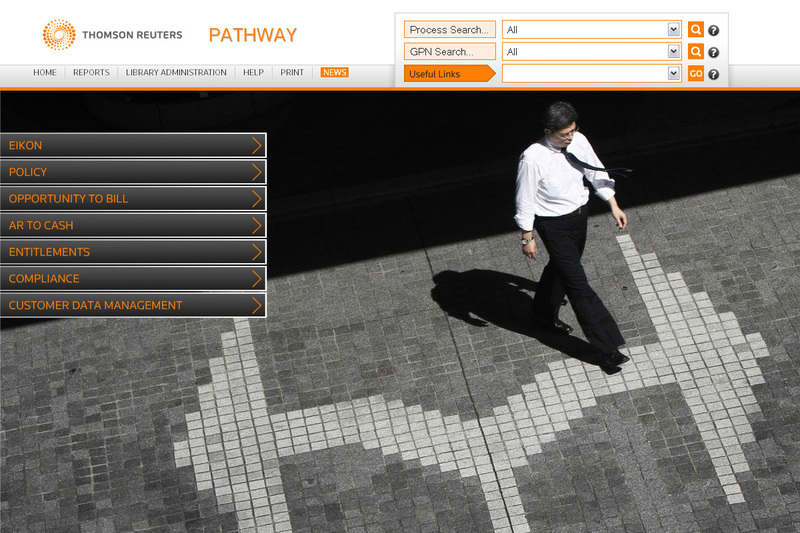 Thomson Reuters chose the hover menu architecture for the Pathway homepage. 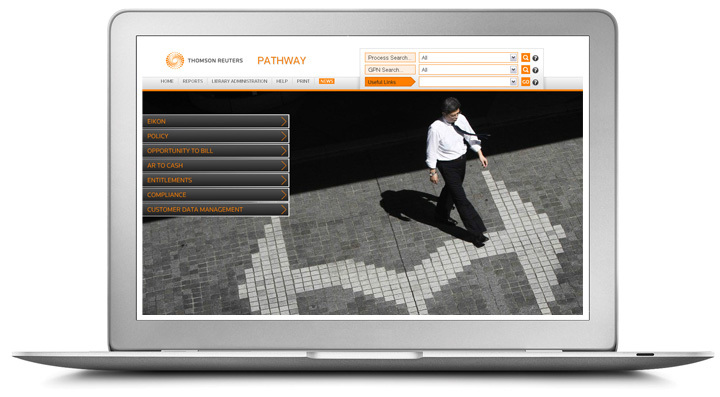 Thomson Reuters wanted Library Users to be able to see the hierarchical processes laid out in one view and to be able to find all information in one click. 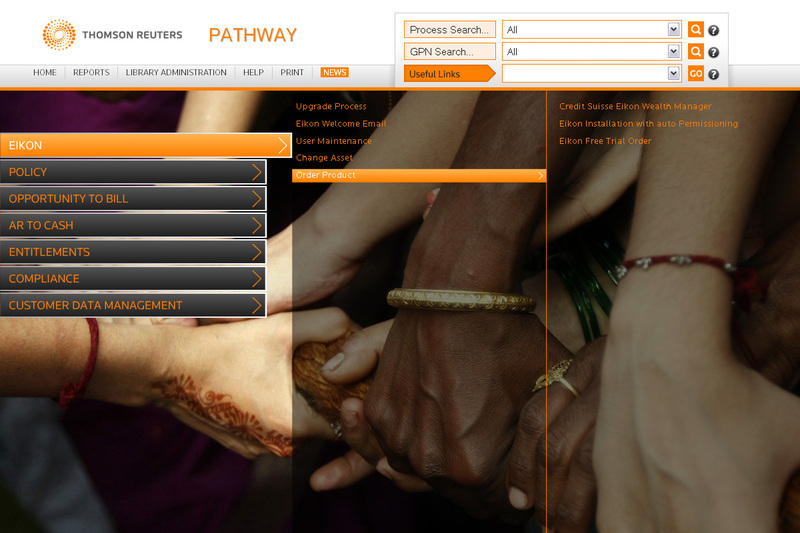 So hover was definitely the right menu architecture for them! They also wanted a clean, sharp, modern and intuitive look for their website.